This time, we interviewed a Japanese woman who is now 24 years old, and just graduated university in April this year. She is currently a freelancer working remotely. She sometimes goes to her office at Shibuya for meetings; sometimes works in a café; but usually she works at home. She lives in Mitaka by herself, which is located in the west side of Tokyo, one station away from the popular area of Kichijoji. A little away from the center of Tokyo, Mitaka is a refreshing and lovely place to live; it is also where the Ghibli Museum is located. Are you wondering what she would have in their bags? let’s go ahead a check it out! Firstly, her bag is from the brand, Samsonite, which is an American brand that you might have seen at the airport. She chose this bag, because she wanted something that is low-key yet elegant. And this was an ideal bag to her thanks to the color black and decoration and design that make the bag fashionable. It is also a functional bag with many pockets, including dedicated laptop section. 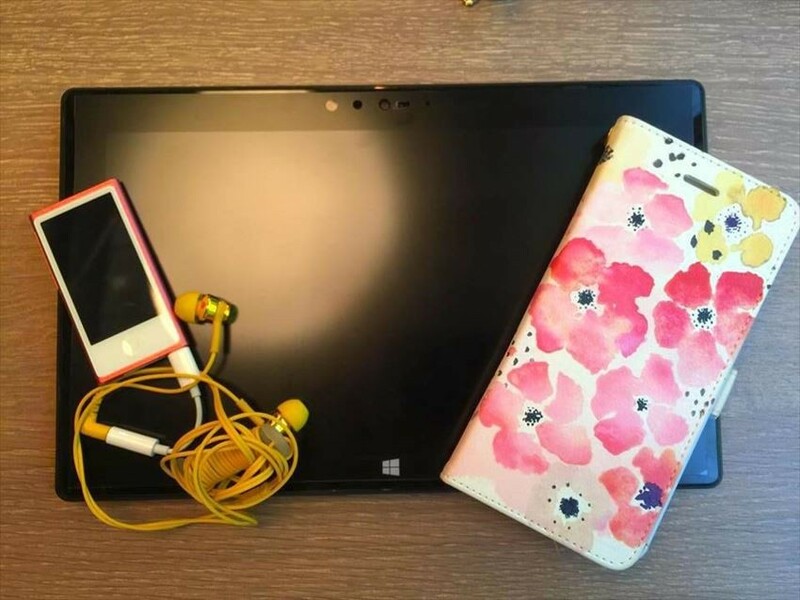 As a remote worker, electronic devices are always needed. She uses a Microsoft Surface laptop that allows her to browse files even in train. Since she is also a music artist and music lover, she has an iPod nano dedicated to music. She uses iPhone 8. The case for her iPhone is a custom case which has her name on the side. She bought this case though an application called “minne”, which is an online platform for people to sell their handmade products. The upper right item is her wallet. She chose this wallet because of the texture design of water painting, just like the design of her iPhone case! She got this wallet 5 years ago at the store, “Passage Mignon” for only around 1,450 yen. You may find the store at Shinjuku Lumine EST. 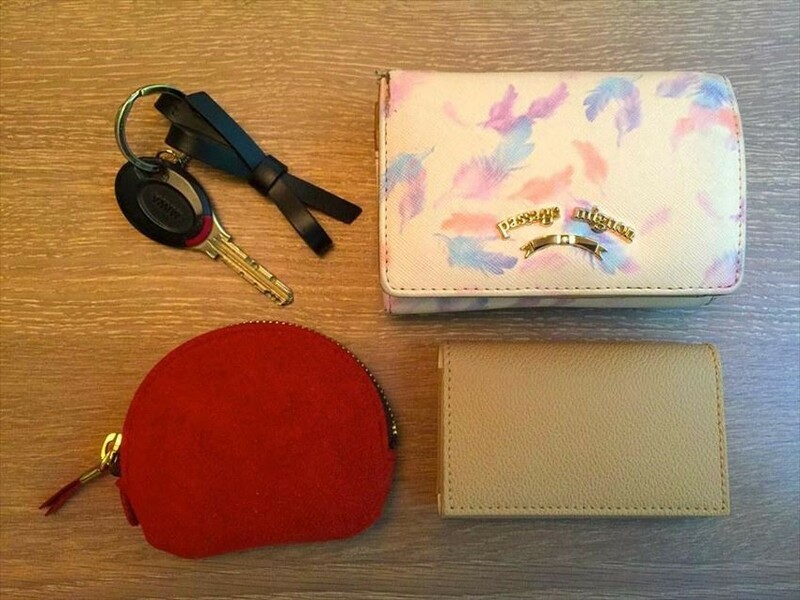 The bottom right item is a business card case and the bottom left item is a purse for coins. She got these two items from a store called “Smith - Delfonics”. It is a store that sells quality life goods. She picked these two items for the same reason as how she chose her bag, low-key yet elegant. Notebook and stationary are also the essential items for a freelancer. You can tell that the design of the schedule organizer and the pencil case are similar to all the other items above! She got the schedule organizer from “PAUL & JOE”, which is a store at Lumine EST, Shinjuku; and the pencil case is from Loft with around 1,250 yen. 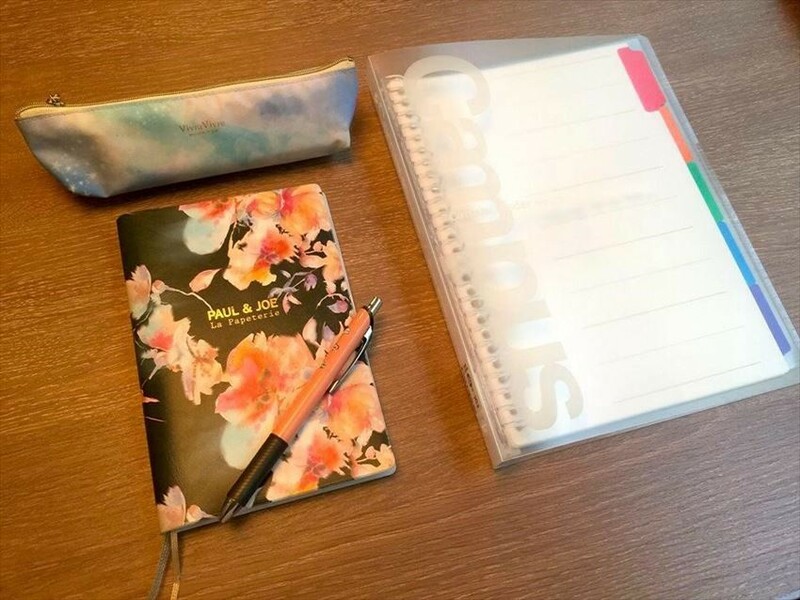 The notebook is from “Campus”, which is an ordinary brand for stationary. You can categorize your notes with tags and you can insert additional paper if you want, so it is a highly functional notebook. 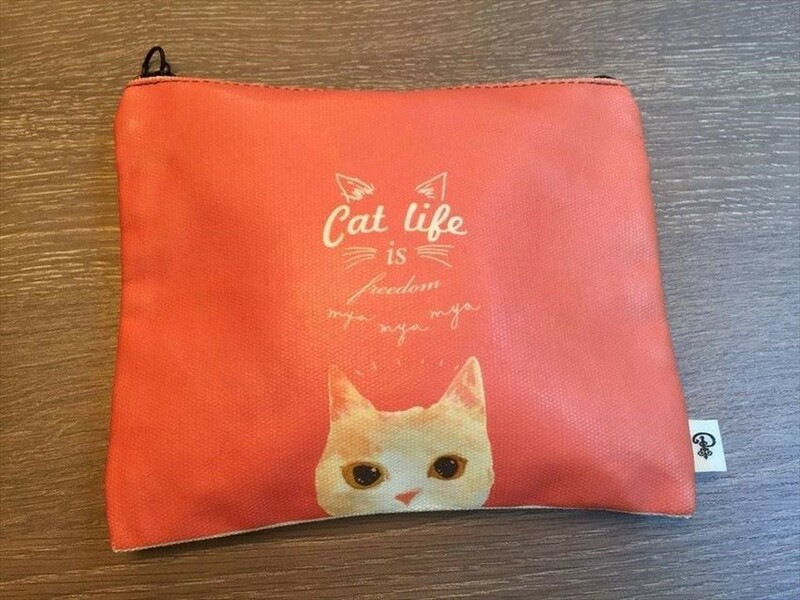 Lastly, with a super cute water painted cat, this is a pouch for all the cosmetic products. This is also from the brand “PAUL & JOE” that was mentioned above. For the items inside this cosmetic pouch, they will be introduced in another article! If you are interested in what’s inside, please check it out! It is often for freelancers or remote workers to have a heavy bag, because of all those work-related items. However, she manages to minimize her bag by only having the essential items. Other than that, it is really interesting to see how her style and taste for her items are consistent. It feels like you might be able to imagine what kind of person she is by just looking at what she has in her bag!